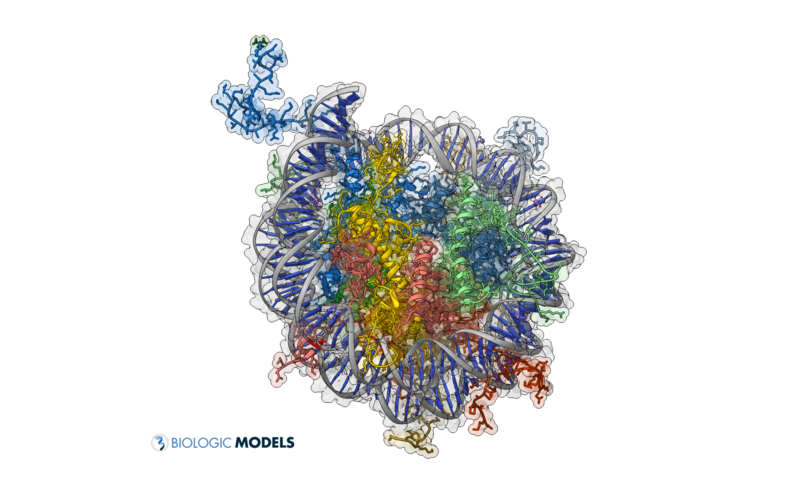 A nucleosome is a basic unit of DNA, consisting of a segment of DNA wound in sequence around eight histone protein cores. This structure is often compared to thread wrapped around a spool. To organize DNA, Nucleosomes stacked together to eventually form a chromosome. 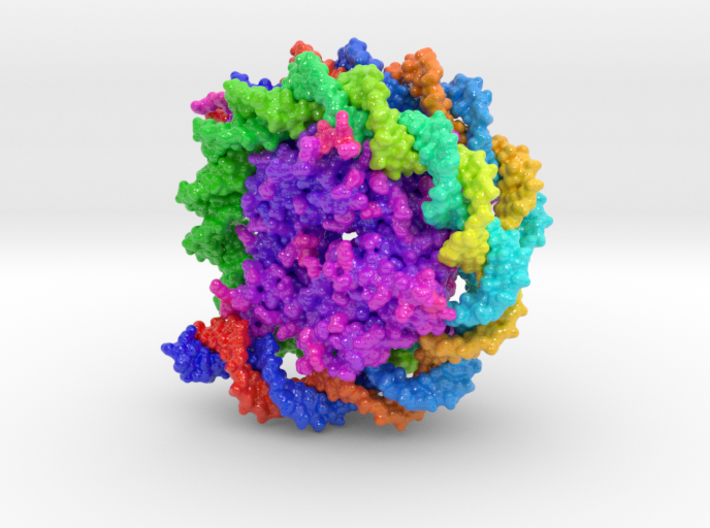 The nucleosome core particle consists of approximately 146 base pairs (bp) of DNA wrapped in 1.67 left-handed superhelical turns around a histone octamer. The histone octamer consists of 2 copies each of histones H2A, H2B, H3, and H4. When DNA is transcribed or edited by systems like CRISPR, DNA must first be unwound from its nucleosome before editing can begin. 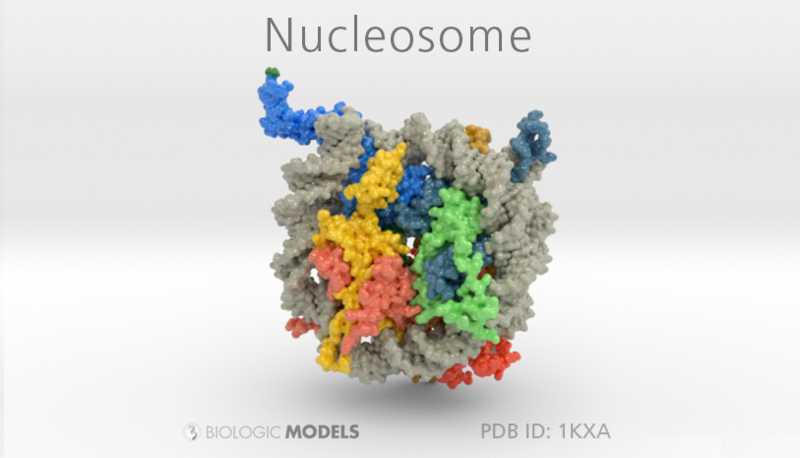 3D printed Biologic Model of Nucleosome 1KX5 created from PDB ID: 1KX5 and printed in full color sandstone. 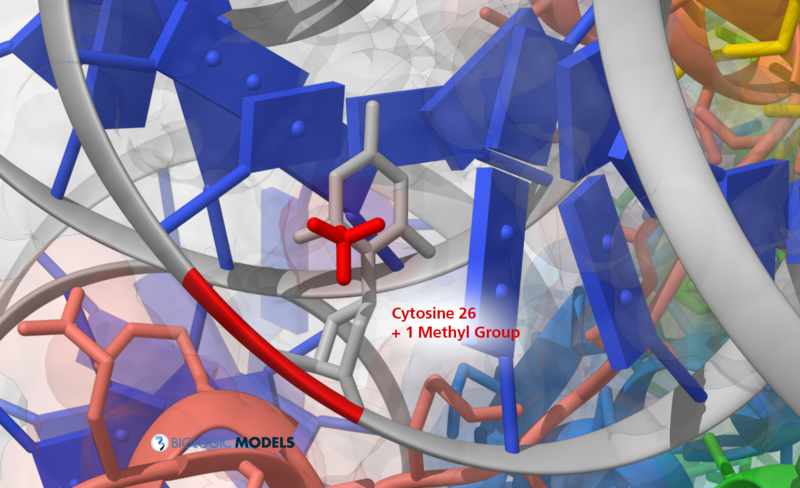 Protein model visualizes coiled DNA strands as light grey and multi-colored histones inside. 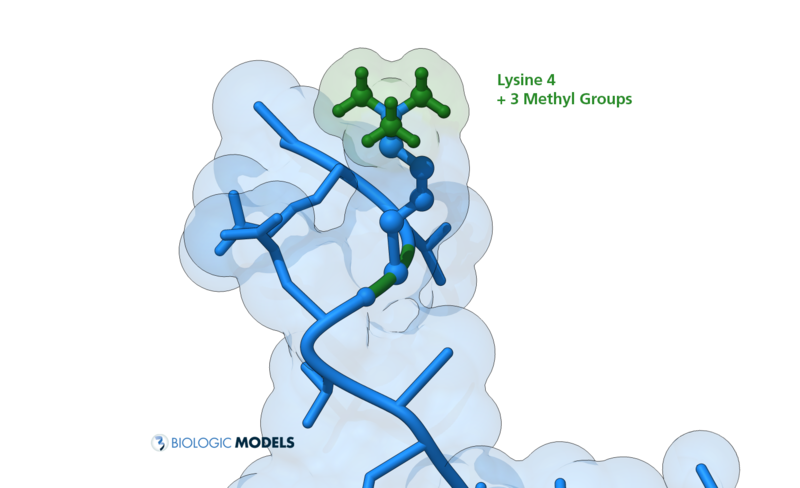 Residue 4 on Chain A (Lysine) has 3 Green Mythel Groups added and Nucleotide 26 (Cytosine 26) of Chain J has 1 Red Methyl Group attached. 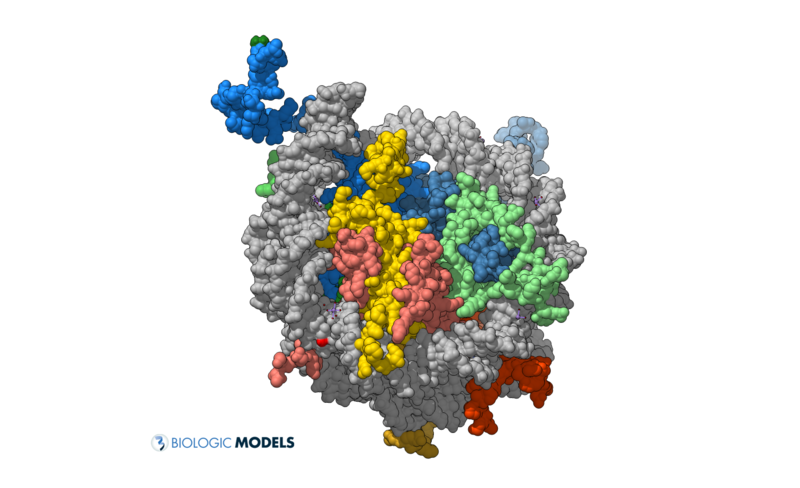 This 3D printed biologic model was created for Dr. Philipp Rathert of the University of Stuttgart. To learn more about Dr. Rathert’s research into the regulation of epigenetic networks in cancer, visit his department’s webpage for more information about the dynamics and wiring of chromatin regulators.